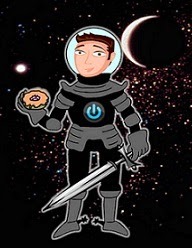 David Powers King: WOVEN: The Official Cover Reveal Is Finally Here! 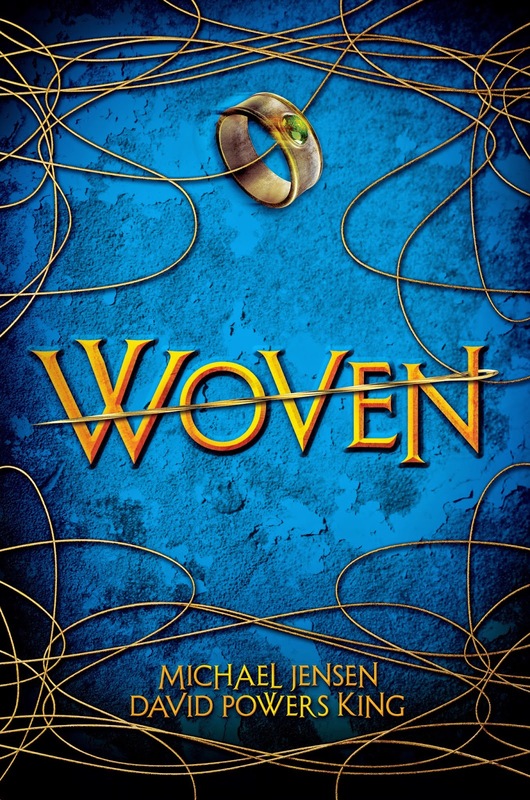 WOVEN: The Official Cover Reveal Is Finally Here! My friends, this has been a long time coming. 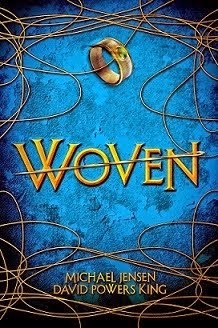 Michael Jensen and I are pleased to present to you the official cover for WOVEN! January 27, 2015 by Scholastic Press. Isn't that gorgeous? The Scholastic team did a phenomenal job with this cover ... We couldn't be happier. We'll have more to share when the information is ready. Until then, feel free to share this pretty thing with the world. Be sure to check out our Facebook page, too. And a special thanks to Nina Goffi, the cover's designer. Thank you for helping us bring our ghost story to life! Congrats, David. You've waited a long time for this. Congrats! What a very cool cover! Congratulations, David! Dare I say I like it better than the other one? I'll share it on Pinterest, pronto. That is a beautiful cover! Congratulations! It is a Beautiful cover and worth waiting for. Look at it all day, David! So worth the wait. Congrats!!! Woohoo! That's gorgeous, David. I know they say we shouldn't judge books by their covers, but I'm definitely a cover shopper. This is one I would grab. ;) Congrats. Congrats!! That's such a beautiful cover! Congrats David! :) It looks amazing! Awesome...can't wait to buy it..or 10 copies of it! 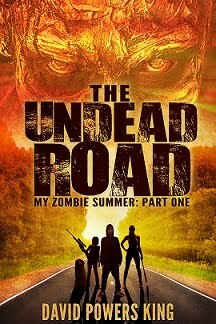 Absolutely love your cover. It's gorgeous. Will share in Follower News on Monday. Congratulations to both of you. It's a great cover! Congrats! I love that gold and blue together. Fantastic news! That's beautifully intricate, and very appropriate to the title. Congratulations! Congrats David and Michael! I really like the colors and the design. So excited to finally see it out in the world. Wonderful cover! Congratulations to both! Looks great man I linked to it from my blog. That is great!!!! It looks amazing! 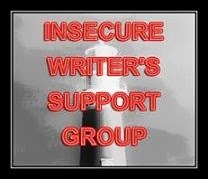 Kind of simple but at the same time it pops and draws the readers eye. Kind of reminds me of The False Prince covers, I really love the designs and am glad they are being used more now. It looks wonderful, congrats to you both. Congratulations! It's gorgeous! I can't wait to read it! Wahoo! (About time, eh?) I'm super stoked for you guys, and I'm WAY looking forward to the book release. Have some virtual cheese to celebrate, eh? That is a stunning cover ..Congratulations..
Love it. Frodo's ring had nothing on yours. It's beautiful! And the shade of blue the designer used is stunning. Congratulations! Classy, simple, you must be very excited!